I’m looking forward to the cannabis educational opportunities that will be available at the collegiate level. Today at a college fair, my daughter was able to say to an admissions representative, “I’m interested in majoring in Ag-Business- specifically hemp.” That sentence would have gotten a laugh two years ago. Now, collegiate programs for cannabis are used to recruit students. 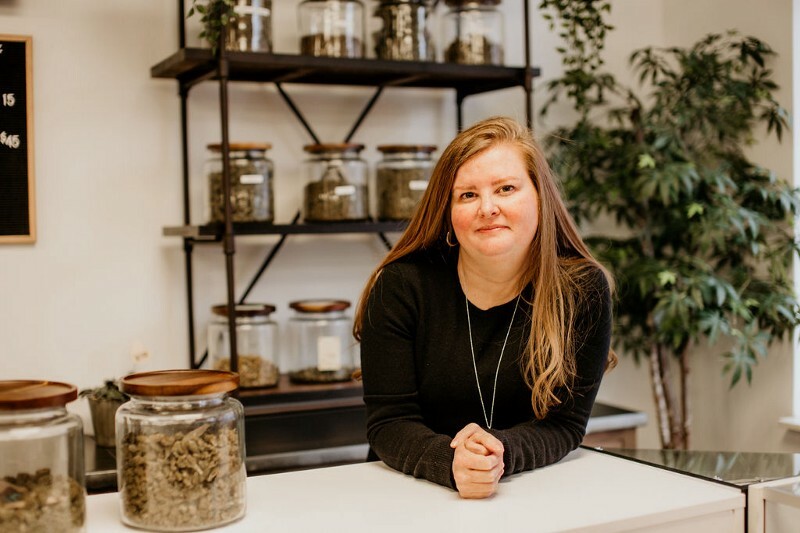 As part of my series about “5 Things I Wish Someone Told Me Before I Started Leading a Cannabis Business” I had the pleasure of interviewing Elisha Millan, the owner of Grass Roots Health and founder of Fund 129, a philanthropy with the dual goals of promoting hemp-as-healthcare treatments and providing aid for individuals recovering from opiate abuse. When I worked in corporate America, I was in a career that questioned the validity of a person’s medical complaints. It was an interesting juxtaposition with my personal disability story, as I became unable to work in 2009 due to Crohn’s Disease and inflammatory arthritis. I was suddenly in the shoes of the claimants I dealt with daily. In 2016 I began taking CBD and immediately noticed a difference in the quality of my sleep. When I started taking it consistently, I noticed more positive health changes. I have always felt called to work in non-profit; with my Grass Roots stores and Fund 129 philanthropy I am able to combine retail with non-profit, as well as meld my experience in small business and corporate America, and empathize with those in pain instead of doubting them. I have a customer who is convinced, and his doctor is a reluctant believer, that CBD capsules have cured his deafness. The customer has been completely deaf for 40 years, and can now hear. It’s amazing, and every person that speaks to him is amazed. He’s been so thankful that he brought us custom-welded Grass Roots signs for our flagship store! When I picked my location, which is next to the University of Tennessee at Chattanooga, I thought, “pipes + college kids = $.” Within 2 months, though, I learned the market determines what makes money, not me. My initial target graphic was 19 to 25-year-olds. Turns out my primary customers are 50 to 65-year-olds! Yes! We’re expanding our physical retail presence into Georgia. Although we currently ship to all 50 states, this is our first brick and mortar location outside of Tennessee. It’s timed perfectly with our first disbursements from Fund 129, the charitable arm of Grass Roots. We will be able to not only impact opiate dependence rates by offering an alternative, but also by funding anti-addiction programming. Definitely my family. My parents are both successful retailers and paved the way for my success. Although CBD has helped me tremendously, I remain unable to work in a traditional sense. My brother helps coordinate technology and works shifts, and my parents help me accommodate my disability in the workplace. I remain in treatment for thyroid cancer at a specialty hospital in Atlanta, but the drive there is difficult for me. My parents frequently chauffeur me to Atlanta, and we combine it with trips to wholesale distribution centers; bringing merchandise back with us for our retail stores. My customers are my best advertisers, and I make a concerted effort to match customers with merchandise we receive from manufacturers, especially with new product lines. Whether it is a sample or a t-shirt, customers like to know that we remember them and their stories. On a recent trip to the YMCA, I spotted a customer rocking her Grass Roots t-shirt in Zumba class. She was vibrant and full of energy. As a person who knows this customer’s CBD journey, seeing her in Zumba was a proud moment and a tremendous advertisement for Grass Roots. 1. I’m most excited about the changing public perception of cannabis. 2. I’m also excited about advancing research on terpene therapy. The more we learn how each element of the cannabis plant impacts the body, the more targeted results we can offer the customer. 3. I’m looking forward to the cannabis educational opportunities that will be available at the collegiate level. Today at a college fair, my daughter was able to say to an admissions representative, “I’m interested in majoring in Ag-Business- specifically hemp.” That sentence would have gotten a laugh two years ago. Now, collegiate programs for cannabis are used to recruit students. 1. I am concerned about the encroachment of multi-level marketing into the industry. Specifically, I worry that a higher-priced subpar oil will deter those who can be helped with legitimate sources of CBD oil. 2. I stay plugged into changing legislation on a local, state, and federal level. Local statutes can eliminate stores from areas as small as a zip code or neighborhood, which is harmful because safe and easy access is important in any sort of health treatment. 3. I worry that taxes will price needy individuals out of treatment. As a disabled person, I know that office visits and prescription copays take a big dent out of a monthly income. It’s often those individuals on fixed incomes that often need the most medical help. Keeping additional taxes low will be an important factor in using cannabis for medical treatment. 1. Not everyone has the discipline of a CEO. My Myers-Briggs Personality type is INTJ. I have to remind myself that achievement in itself doesn’t motivate everyone. 2. Invest in technology early. Almost two years into operations I am adding time-saving technologies. Although this would have required a larger start-up cost, it would have saved integration time down the line. 3. Sometimes you have to see through the smoke haze to get the best from your employees. It’s important to hire employees who are product consumers themselves. Sometimes that can be off-putting, but if you are leading from a larger vision you will find employees dedicated to the cause. 4. The change of pace in cannabis is light-speed. Every day a new innovation enters the cannabis market. Grass Roots prides itself in having the newest products available. We have a strict system in place for products we’ve been asked for, and we make sure we obtain them. 5. Although this is a cash industry, you still need formal banking procedures. Operating in a cash environment doesn’t exempt your business from providing workers compensation coverage, annual financial reports, or taxes. Put formal banking procedures in place early and save your business from potential state and federal financial penalties. Lead with a larger story. We are helping to improve lives every day. Sometimes when it is busy, or it’s closing time, it’s easy to shuffle customers through the store. It’s important for us to remember we are directly impacting the health of others with our recommendations, and our customers are trusting us to deliver exactly the product they need. Grass Roots performs best when we lead with our calling to help others. Grass Roots put this thought into action when we founded Fund 129. Each employee knows we walk the walk and talk the talk when it comes to helping others. Jeff Bezos said, “it is harder to be kind than clever.” Life is so much more enjoyable when each day is viewed as an opportunity to be kind. And at night, when I’m recollecting my day, recalling the moments that I exercised kindness instead of counting accomplishments is soul-filling and an added benefit of the practice.